A New Jersey research and education network (REN) has signed a deal with Amazon to offer that company's web services to its members at reduced prices. 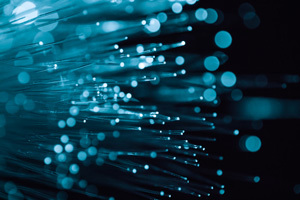 Institutions, schools and districts that are members of NJEdge will be able to connect directly through the state's fiber connections run by NJEdge or create new ones through AWS Direct Connect, putting them, "one hop away" from Amazon's web services, CEO and President Samuel Conn told a reporter. Under the arrangement, students and researchers at NJEdge member schools will gain access to cloud computing and storage resources for educational purposes, including Amazon EC2, Amazon RDS and VMware Cloud on AWS. The expectation is that users will reduce their costs, increase their capacity and get a more consistent network experience. "Members will now have full and direct access to many technologies that are rapidly developing, or have yet to be developed, as well as the many innovative services and products available from AWS," said Conn in a prepared statement. By reducing the costs and increasing the availability of these services, said Steven Rose, NJEdge board chair and president of New Jersey's Passaic County Community College, the arrangement "will greatly benefit students and educators in New Jersey, particularly those from underserved and disadvantaged populations."